Cycles were distributed to 25 girls from the villages near Bal ashram in Viratnagar. 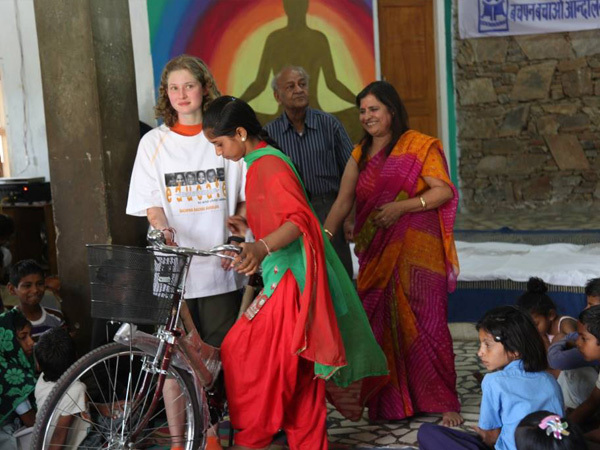 International students Thomas and Tamsin fundraised from their school, family and friends to buy these bicycles as they were concerned about the constant struggle of girls residing in the villages near Bal Ashram to reach their respective schools far away from their home. These girls want to study, learn new things and to achieve their goals in life but unfortunately they have been facing a lot of problem to go to school. Many girls wanted to quit schooling as they did not have any support from their family in this regard which would increase the ratio of school drop-outs in the villages. 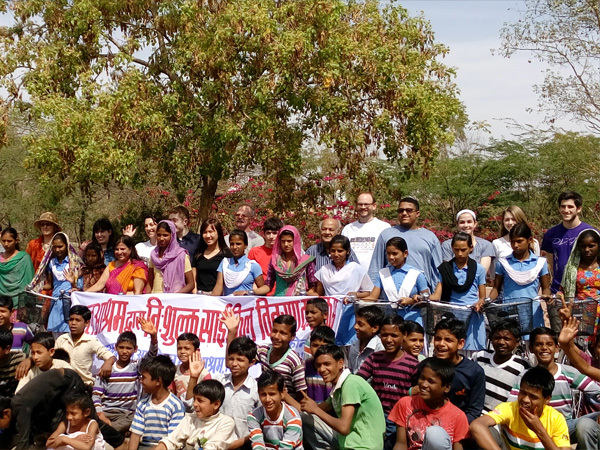 These students came to Bal ashram for handing over the bicycles to girls. Girls were so excited as now they can easily reach their schools. Mrs. Sumedha Kailash- Director of Bal ashram was also present there. She appreciated the efforts of International students and encouraged the girls.